START THE GAME WITH 3 BALLS INSERTED IN THE BOARD ON EACH SIDE. BE THE FIRST PLAYER TO CLEAR YOUR SIDE TO WIN. ADD TO THE CHALLENGE, THAT EACH TIME YOUR BALL GOES THROUGH THE HOLE, IT GOES TO YOUR OPPONENTS SIDE! 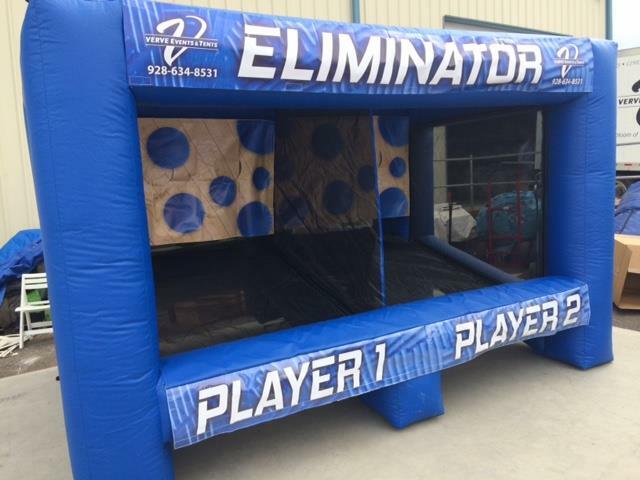 * Please call us with any questions about our game eliminator rentals in Sedona, Cottonwood, Camp Verde, Prescott Valley, Chino Valley and surrounding metro areas.